Downtown Greenville is home to a diverse dining scene—and we’re proud to be a part of it at Hyatt Regency Greenville. Located in the hip NOMA Square neighborhood, we invite guests to dine on organic, farm-to-table dishes at Roost and sip handcrafted cocktails at Orb Lounge. Whether you need a morning jolt or an afternoon pick-me-up, stop by Starbucks® for your favorite coffee beverages. For guests staying with us, enjoy room service from 6:00 a.m. to 11:00 p.m., daily. 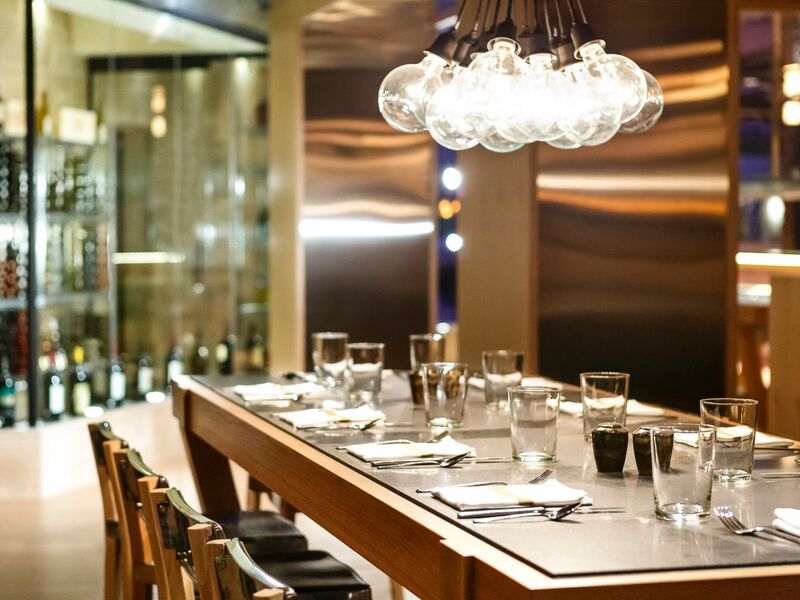 No visit to Hyatt Regency Greenville would be complete without savoring a meal at our signature restaurant, Roost. Our innovative chefs practice a farm-to-table ethos while crafting local, organic cuisine that represents the diverse flavors of the Piedmont. Dine on Southern-inspired entrées such as pimento cheese crock, or bacon wrapped meatloaf. While you’re here, sip on handcrafted cocktails, premium wines, or craft beers within the restaurant’s modern yet rustic atmosphere. 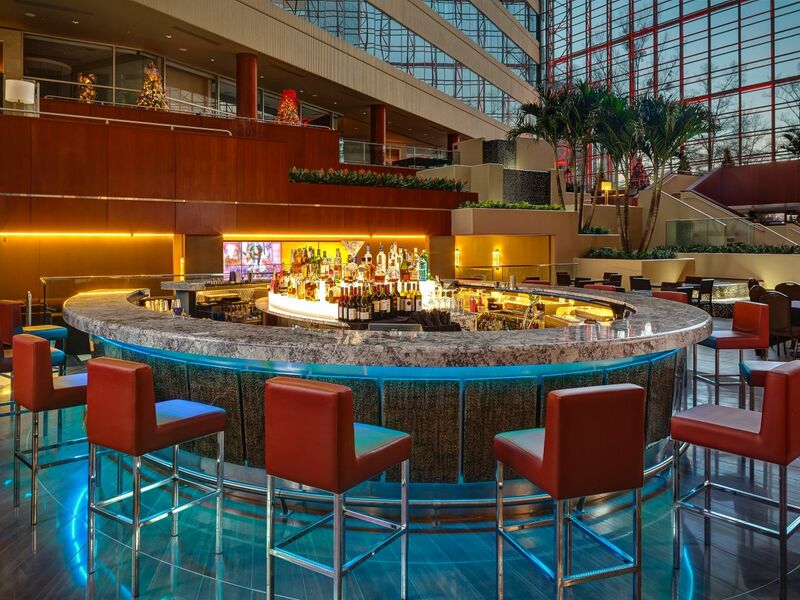 Saturday and Sunday: 6:30 a.m.–11:00 a.m.
Daily: 4:00 p.m.–6:00 p.m., daily; 9:00 p.m.–11:00 p.m.
Nestled in the bright, airy atrium of Hyatt Regency Greenville, Orb Lounge offers a chic hangout in NOMA Square. Sample our diverse menu of micro-roasted coffee drinks, handcrafted cocktails, and premium wines and beers. Nosh on light appetizers, including South Carolina-style chicken wings, burgers, and more. While you’re here, enjoy conversations with friends and coworkers beneath the 40-foot artisan chandelier. Want to catch the big game? You’re in luck. 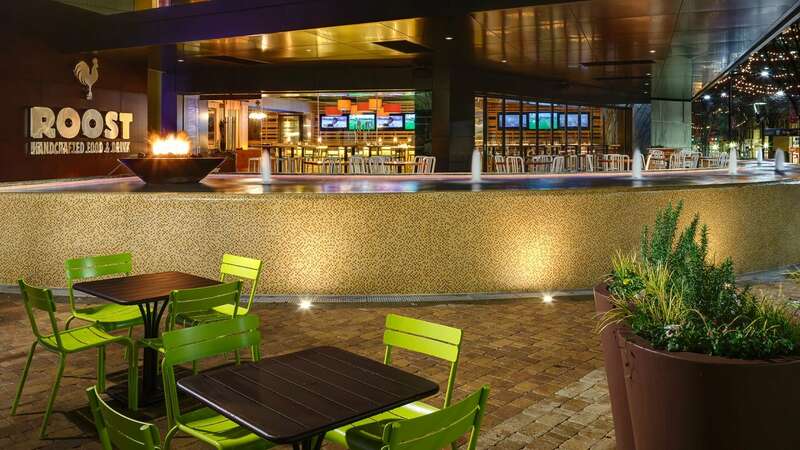 Orb Lounge features an expansive video wall perfect for viewing all the great plays. Craving caffeine? 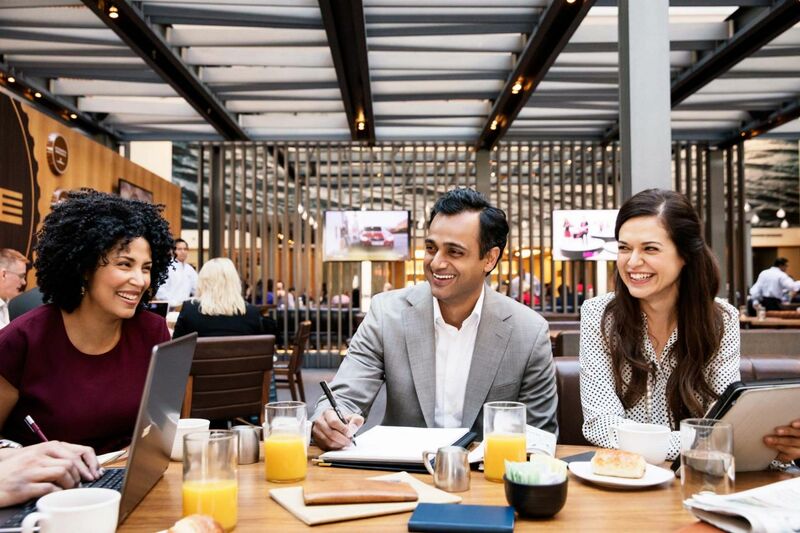 Head to Starbucks®, conveniently located on the second level of Hyatt Regency Greenville. Enjoy a wide variety of specialty coffee drinks, including cappuccinos, lattes, Frappuccinos®, as well as flavored teas, pastries, snacks, and more.Craving caffeine? Head to Starbucks®, conveniently located on the second level of Hyatt Regency Greenville. Enjoy a wide variety of specialty coffee drinks, including cappuccinos, lattes, Frappuccinos®, as well as flavored teas, pastries, snacks, and more. Monday to Friday: 6:00 a.m.–9:00 p.m.